If you’re still doing optometry the old-fashioned way, we’ve got just the right tool to sway you to the more modern way of doing things. The ePrescribing phenomenon will be taking the industry by storm soon, but for now, we've got a little EHR Software advice lined up for you. Let’s look at a few reasons why we love it, and why you will too! It’s always a struggle when patient prescription history is all over the place. We know just as well as you that patient history is important to know when trying to decide the best medications to prescribe. With the right ePrescribing tool, you are able to access a full list of all past and present patient medication, all in one convenient stop! If a patient mentions that they are taking a medication that isn’t already listed, you also have the power to go into the system and add that medication. Another handy aspect is the comprehensive history of patient medical claims from payers and pharmacy benefit managers, which you can access with patient permission. Who actually likes to perform tediously repetitive data entry? That’s right, no one does! One of the most loved benefits of ePrescribing is data synchronization throughout the entire system automatically. So, let’s say you enter allergy information into the patient information page – a totally different part of the system. Instead of recording that information again in the ePrescribing tool, the information is automatically synced up! The best part of this is that you will never again have to upload information if you don’t want to. Say goodbye to that bulky Physician’s Desk Reference that’s eating up all that space on your desk. 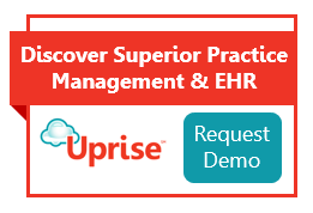 With the right ePrescribing tool, you’ve got online access to a built-in PDR! Instead of wasting time sifting through all of the pages trying to find what you are looking for, online versions are search friendly and easy to use. You will almost never have to deal with cranky pharmacists again when you decide to give ePrescribing a chance. The essence of ePrescribing is the ability to prescribe and send prescriptions to the pharmacy electronically. The drug search feature allows you to search for all kinds of drugs by brand, generic, and ingredients. Once you’ve found the right one, just set the prescription details, and send your error-free prescription automatically to your choice of over 95% of pharmacies nationwide! ePrescribing also alerts you when the drug has a pharmaceutical coupon attached to it; your patients will love you for it! As the 2014 Meaningful Use Act requires, the ePrescribing tool provides patient-specific education about medication in 18 different languages. Sometimes it seems like most of the words coming out of your mouth go straight through your patients’ heads because of the complexity of optometry. With these patient education materials, it’s never been easier to help your patient out. We definitely understand that the insurance aspect of being an optometrist is annoying and oftentimes confusing. Managed care drug support takes all the negative aspects of insurance and leaves you with a simple tool that helps you determine the most appropriate and cost effective medication for your patients. We believe that patient safety should be the number one priority. The ePrescribing dashboard notification provides warnings such as drug recalls and renewal requests from pharmacies to make sure that the patient is well taken care of. It’s very easy to accidentally try and prescribe two drugs that may not go very well together. With instant drug interaction checks, the system automatically checks to see whether drugs agree with each other and are within the restrictions of the patient’s allergies. Want to know more about ePrescribing? See what all the commotion is about at StartYourUprise.com!